The extraordinary design of the Antonella Rhinestone Set will make it your number one choice for a party or a date. 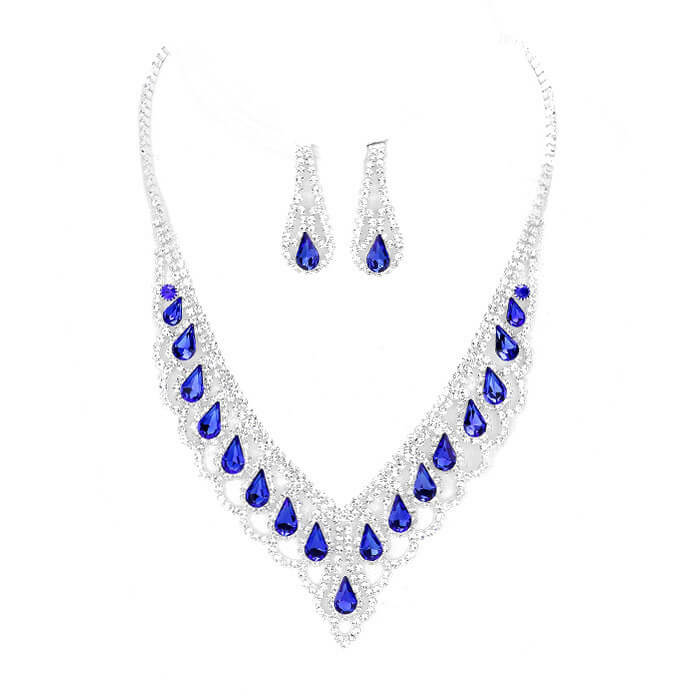 With regal styled, silver-tone metal, encrusted rhinestones and beautiful blue teardrop crystals this matching necklace and earring set will make you the belle of the ball. If you love elegant evening jewellery make Oz Bling your one stop online shop for all styles, fun, formal, chic and unique!.